You are browsing the archive for 2019 March 01. 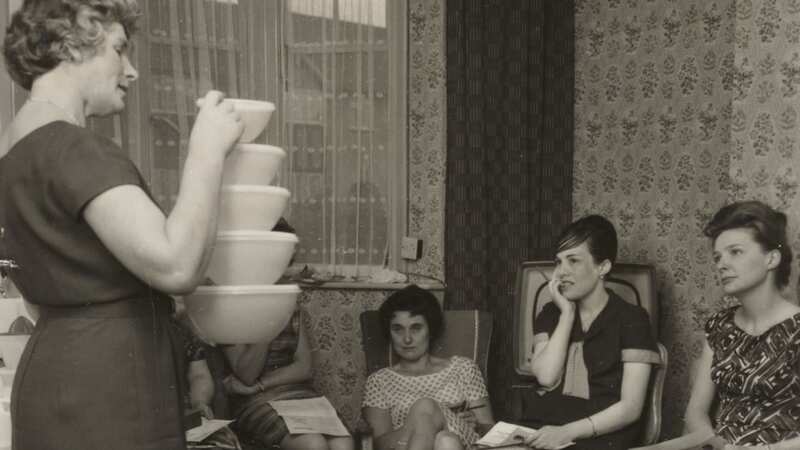 If you peeked into a suburban living room in the 1950s, you might see a group of women in funny hats playing party games, tossing lightweight plastic bowls back and forth and chatting about their lives as they passed around an order form for Tupperware. Well stocked with punch and cookies, the daytime parties were well mannered affairs. But Tupperware parties were more than they might seem. Although they engaged in lighthearted socializing at living rooms, Tupperware party organizers were running thriving, woman-owned businesses. And the women who participated in them weren’t just stocking their homes: they were experimenting with cutting-edge technology that helped food stay fresh for longer. During the 1950s and 1960s, thousands of women started their own home businesses selling Tupperware, breaking gender stereotypes even as they reinforced them. The Tupperware Home Parties of the 1950s and 1960s were the only way to purchase a line of polyethylene plastic storage containers that were the brainchild of Earl Tupper, a Massachusetts businessman who figured out a way to turn an industrial byproduct into an improvement on plastic he called Poly-T. Tupper introduced Tupperware after World War II. But at first, nobody understood what they were or how to use them. It would take an ambitious woman—and an army of amateur salespeople—to sell the innovative containers to America. Tupperware was developed by an American, Earl Tupper, in the mid 1940s. Tupperware Parties in the 50s and 60s were a way of marketing the product directly to women. Tupperware looked nothing like the plasticware that was in most women’s kitchens. At first, homemakers were wary of a material they associated with bad smells, a weirdly oily texture and cheap construction. The bowls’ most unique feature was also what held it back initially: the airtight lids wouldn’t seal unless they were “burped” beforehand, and that confused consumers, who returned them to stores claiming the lids didn’t fit. The businessman needed a new sales strategy, and quick. Around the time that Tupper invented Poly-T, a cleaning products company called Stanley Home had debuted the “home party,” a new method of selling products directly to housewives. Stanley Home parties were a chance for women to buy products from salespeople in their home, not their doorstep, and to do so along with their friends. Other early documents portray her as Jesus’s companion—and even mention kissing. What’s really known about the Bible’s most mysterious woman? 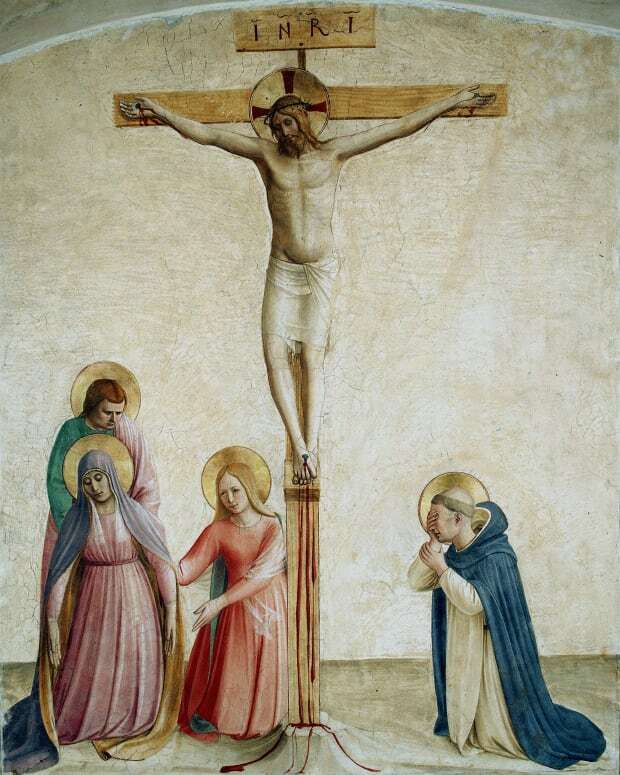 After Jesus’s crucifixion—which she witnessed along with several other women from the foot of the cross—and after all his male disciples had fled, Mary Magdalene also played a key role in the story of the Resurrection. According to the gospels, she visited Jesus’s tomb on Easter Sunday, either alone (according to the Gospel of John) or with other women, and found the tomb empty. In the Gospel of John, Jesus actually appears to Mary Magdalene alone after his Resurrection, and instructs her to tell his disciples of his return (John 20:1-13). Despite—or perhaps because of—Mary Magdalene’s clear importance in the Bible, some early Western church leaders sought to downplay her influence by portraying her as a sinner, specifically a prostitute. He wasn’t Irish, but he found his faith while being held as prisoner by a group of Irish raiders. 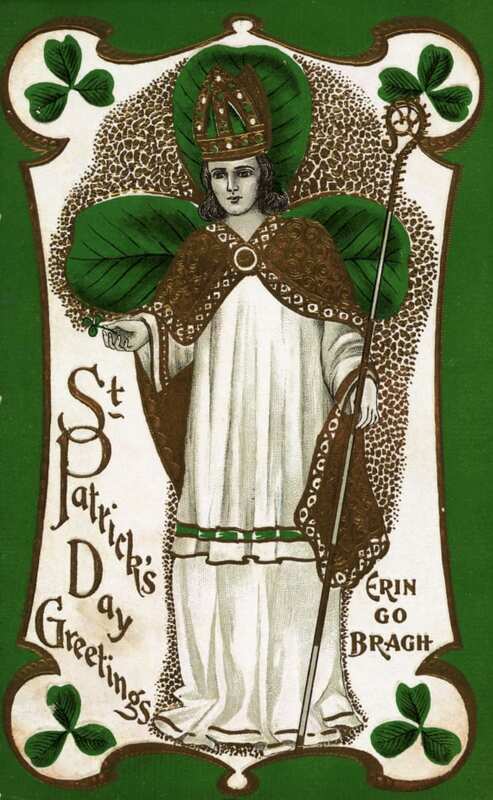 It is known that St. Patrick was born in Britain to wealthy parents near the end of the fourth century. He is believed to have died on March 17, around 460 A.D.
Hopes are high that the United States and China will soon reach a deal to suspend the trade war. Recent reports suggest the sides are moving toward agreement on six sets of issues: cybertheft and forced technology transfer; intellectual property protection; services market access; currency interventions; agricultural market access; and non-tariff barriers to trade. Considering that measures taken by both governments in the name of cybersecurity have created recurring frictions in the bilateral relationship, the absence of an agreement in that realm would be a major oversight. Cybertheft, cyberespionage, and cyberterrorism are all problems that can be mitigated by effective cybersecurity measures. But without agreement as to what constitutes legitimate cybersecurity policy, Washington and Beijing will continue to act unilaterally and take shotgun approaches that may mitigate some risk, but at the cost of thwarting trade, opportunities for collaboration, and technological progress. Agreement, now, on how to assess and manage cyber risks and respond to security breaches would go a long way toward providing real security and reducing frictions in the relationship that could spark the next trade war. In the name of protecting critical economic and national security infrastructure from cyber malfeasance, the United States has adopted some absolutist policies. ZTE and Huawei have recently become household names that Americans may associate with the trade war, but these Chinese information and communications technology (ICT) companies have been in the crosshairs of various U.S. government agencies for many years. The U.S. government has advised U.S. telecommunications firms that if they wish to participate in federally-funded infrastructure build- outs, they should purge their supply chains of Chinese ICTs. On a few occasions, the Committee on Foreign Investment in the United States (CFIUS) raised security concerns over prospective acquisitions of U.S. companies by Chinese ICTs. During the past several years, U.S. appropriations legislation has included provisions to prevent certain federal agencies from procuring or using ICT products made by Chinese companies. The recently enacted National Defense Authorization Act precludes universities and other research institutes that receive federal funding from purchasing Huawei equipment. And, reportedly, President Trump has given consideration to an executive order that would ban Huawei and ZTE products, wholly, from the United States as a matter of national security. his triangulating worst, particularly on Brexit. everything is the result of some government decision or plan. ability to deliver the activist state its supporters desire. structures and business ownership patterns. thus a reality, not a set of policies. Opportunity in the United States beckoned—but first immigrants from Europe had to endure a grim journey. Record numbers of 19-century immigrants arrived in American port cities from the UK and Western Europe following the War of 1812—but that’s only if they managed to survive the journey. Many of the new arrivals were desperately poor, paid very little for their passage and were treated as nothing more than cargo by shipping companies. One of the United States’ first immigration laws, the Steerage Act, passed on March 2, 1819, was a half-hearted attempt to improve such transatlantic travel conditions. But the regulations it introduced did little to address the horrors of 19th-century travel in steerage—a catch-all term for the lowest class of sea travel. In 1847, alone, close to 5,000 people died from diseases like typhus and dysentery on ships bound for America. Disease thrived in the squalid conditions of steerage travel, where, depending on the size of a ship, a few hundred to 1,000 people could be crammed into tight quarters. Wooden beds, known as berths, were stacked two- to three-high with two people sharing single berths and up to four squeezed into a double. The only ventilation was provided by hatches to the upper decks, which were locked tight during rough seas and storms. 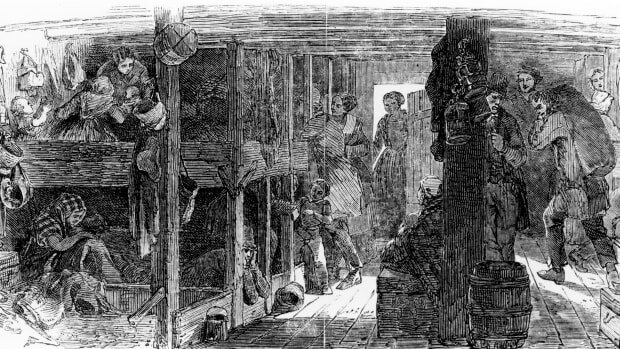 Men, women and children in bunks between decks on board an immigrant ship in the mid 19th century. Since the only bathrooms were located above deck, passengers trapped below during stormy weather were forced to urinate and defecate (and get seasick) in buckets, which would overturn in the churning waves. The stench was unbearable and the spread of deadly diseases like typhoid, cholera and smallpox spread unabated. products and so face elevated risks of overdose. opioids when these became more difficult to acquire. an increase in heroin-overdose rates.